The absence of so-called “revolutionary” demonstrators from Tahrir Square has been apparent for some time. 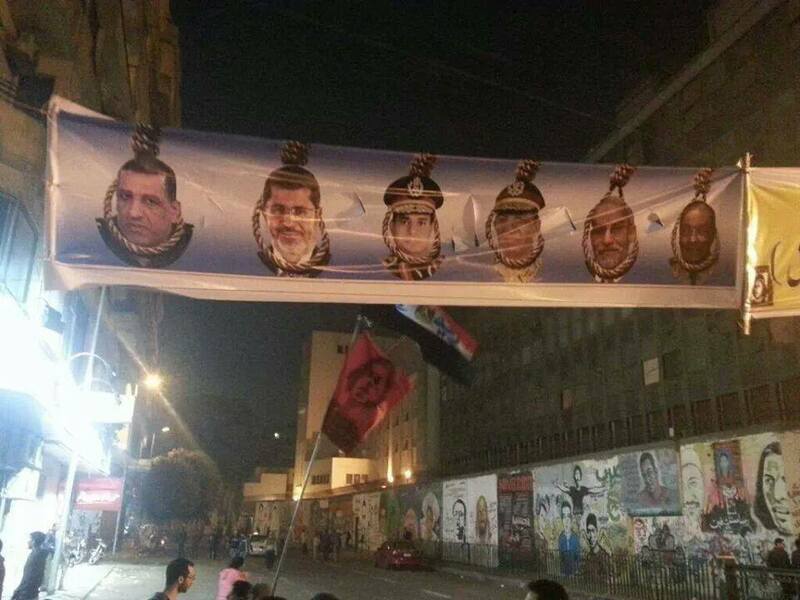 After some of their numbers helped depose former President Mohamed Morsi this summer, few returned to downtown Cairo after July 3. 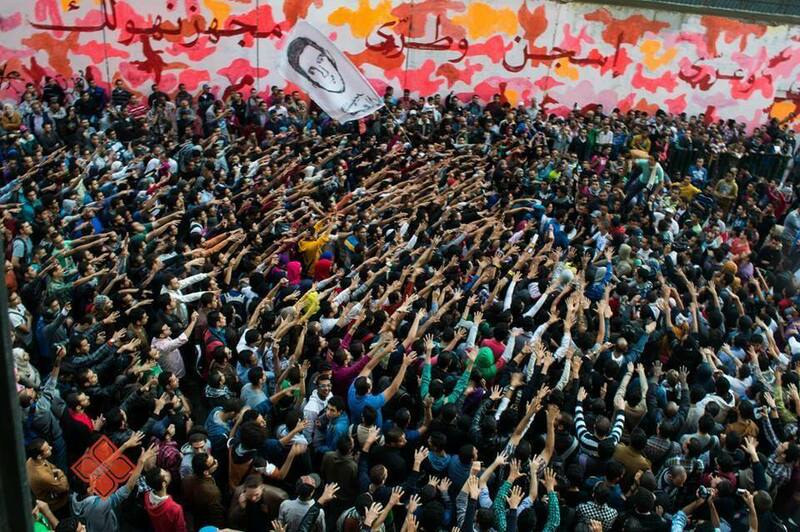 So why did they return in high numbers on Tuesday, the second anniversary of 2011’s brutal Mohamed Mahmoud clashes? Sherif Gaber, an urban planner and member of the Mosireen independent media collective, says it’s a matter of the anniversary itself. Gaber spoke to Mada Masr from downtown, where Egyptians gathered in cafes and in Tahrir itself to watch Egypt play Ghana in a make-or-break World Cup qualifier (Egypt ultimately beat Ghana 2-1, but was still kicked out of the qualifiers). “In a way, it [Mohamed Mahmoud] was against the bargain that was struck by the Brotherhood and the military until the coup,” Gaber said, as his reflections on the revolutionaries’ return were interrupted by Amr Zaki’s first goal against Ghana. Mariam Kirollos, who was at the original clashes in 2011 and demonstrated again on Tuesday, agreed. Mohamed Adel of the April 6 Youth Movement saw it as a show of strength. Thinking outside of this binary is key to understanding why the revolutionaries were able to make their eventual return to the space they once claimed as theirs, said Mohamed al-Agaty, a political researcher with the Arab Forum for Alternatives. Although the square was first associated with the revolutionaries that ousted former President Hosni Mubarak, since the summer of 2013, it has been claimed by supporters of the military who demand a violent crackdown on Morsi’s supporters. On Monday, Agaty was in a march coming from Abdeen to Tahrir that protested against the police brutality that claimed the lives of dozens on Mohamed Mahmoud Street two years ago, and that still continues today. Activists were also impelled to return to the square when the government attempted to revise history on the occasion of the anniversary of the clashes. On Monday, protesters destroyed the monument that the state had erected in the middle of Tahrir, angered that the same state officials who were responsible for the deaths of the 2011 martyrs were now attempting to commemorate their sacrifice. For Kirollos, the state’s appropriation of that memory was “extremely provocative” and played a role in bringing people to the square. Posted on November 20, 2013, in North Africa and tagged Egypt, Egyptian Revolution, Muslim Brotherhood, SCAF. Bookmark the permalink. 1 Comment.